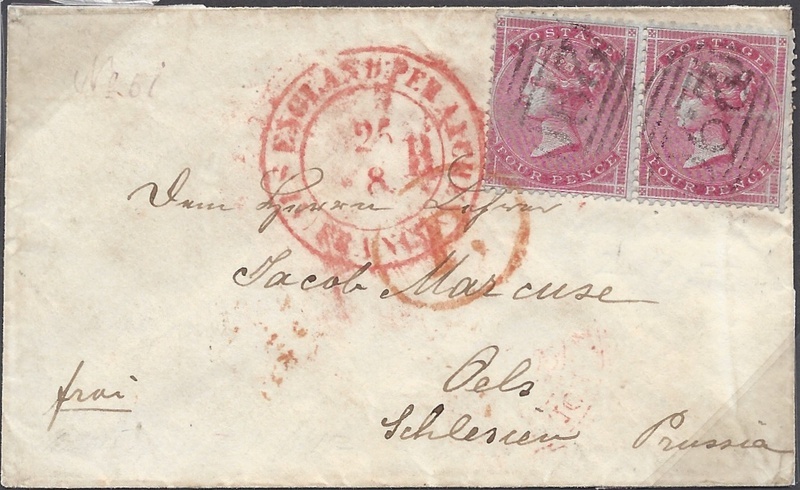 1855 4d CARMINE, SG 62. An extremely fine PAIR tied to small envelope to Schlesien, Prussia [Germany], by two fine FALMOUTH 290 numerals. Very Scarce and Attractive. Single SG 62 cat £780 on cover.